It’s showcase time, and our next stop is Prodigy Allstars! The teams will take the mat on Saturday, November 3, to kickstart the beginning of their season. Friends and family will start to fill the NRG Center at 10 AM and the showcase will begin at 10:30 AM. The day will consist of 15 teams performing their routines, and FloCheer will be on site bringing you the most up to date photos, videos, and social media coverage! 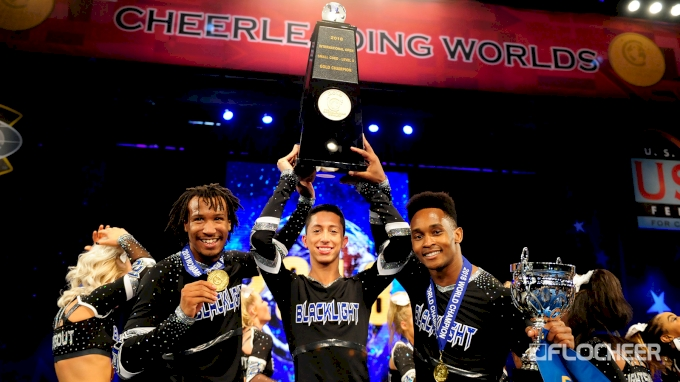 Reminisce on Blacklight's first ever Worlds win! A couple teams we cannot wait to see are the reigning world champs from the International Open Small Coed Level 5 division, Prodigy Black Light, and the newest team to the gym, Starlight, who will be competing in the Open Small Coed Level 5 division. The Prodigy Allstars showcase will NOT be live streamed, but stay tuned for updates throughout the day!